This is our fairy princess house. Little did I know that when I made this, every little girl walking inside would want to live in it. Every night parents are negotiating with their daughters trying to get them to leave. I made the house and my wife designed the inside and our niece Riviera, calls it her’s as she has spent many hours in it. 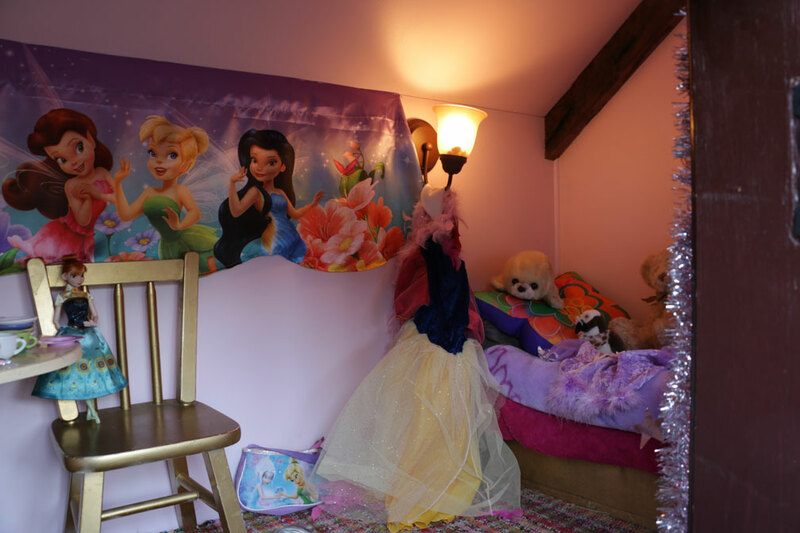 Inside there is a small table and chair and a cozy bed with stuffed animals. There are also fairy princess dress’s hanging. 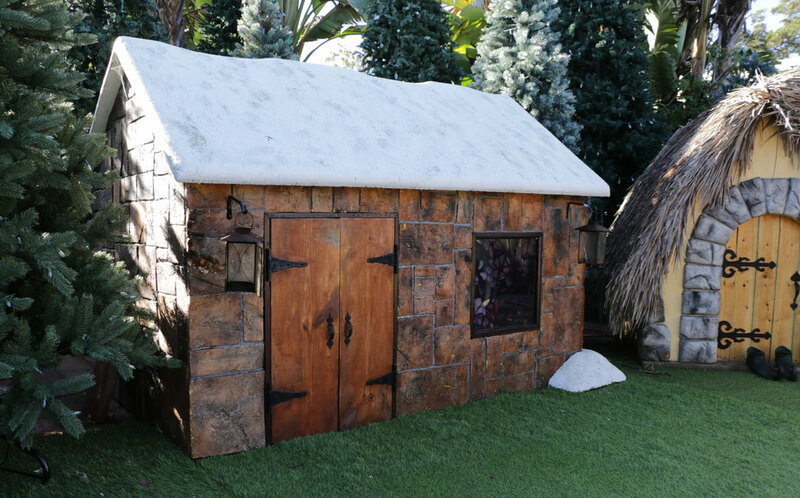 The stone wall on the outside is made from surfboard foam – each individually handmade and painted by myself. The walls are insulated, so when the doors are closed body temperatures warm the place up. When children enter it for the first time, they cautiously walk in, look around, walk back to the doors and then close them. We’ve had quite a few little girls close the doors, take off their shoes and crawl in to the bed under the blankets and just lay there and look at the inside of the house, while others have gone to sleep. When that happens – they’re not leaving and that’s when the negotiating begins.